You can print from a lab machine using your My Print account. Print your document. From MS Word, select File to go backstage. 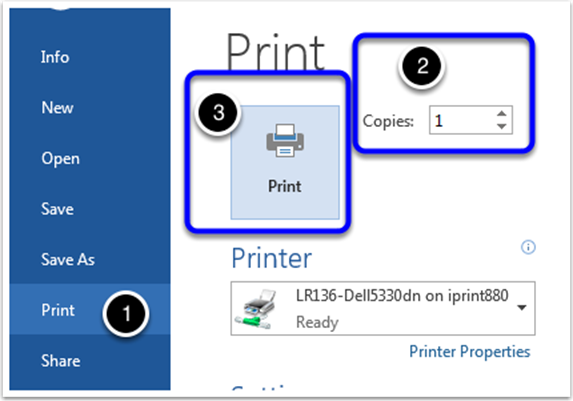 Select the number of copies and other print options. The selected printer should already by correct for the lab you are in. Click the Print button. 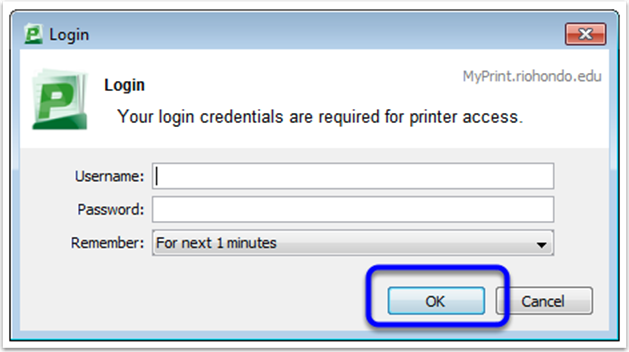 Authenticate with your My Print account when you see the Login dialog box. 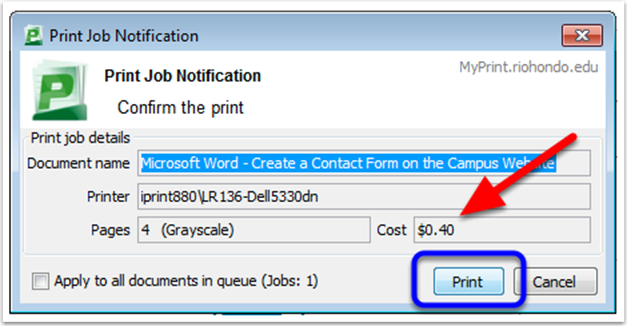 Select OK.
You will see a Print Job Notification dialog box. This will confirm which document you are printing, the number pages, the selected printer, and the cost. Please check that these settings are correct before you select print. This will cost you money. Select Print to print your document. 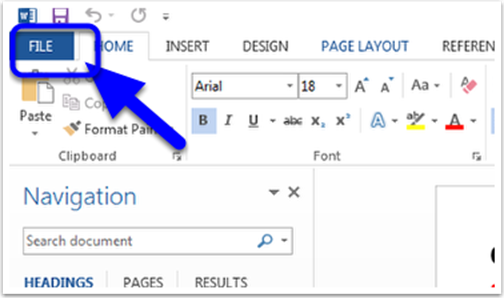 A windows popup will confirm that the document was sent. Please pick up your document from the printer.